The College of Education prepares teachers and psychology-related professionals to function effectively in a variety of roles. The Elementary Education and Early Childhood Education programs are designed and delivered to meet the educational needs of those preparing to work as teachers with young children (birth through grade 8). Students seeking licensure for the Middle Grades will find information within the Elementary Education Program. In addition, the College of Education offers a Bachelor of Arts program in Psychology and Counseling to prepare students for entry into the mental health field and preparation for related graduate studies. All undergraduate curricula emphasize a solid combination of liberal studies to enhance thinking and communication skills. Undergraduate instruction combines classroom lectures with extensive field experience. The College of Education maintains excellent relationships with school districts in Cook and Will counties where student teaching and field work take place. Schools and mental health facilities throughout the Chicago area provide rich and diverse settings for the experiences related to the Psychology program. The college offers undergraduate programs approved by the Illinois State Board of Education (ISBE) and subject to ISBE rules for initial teacher licensure in Elementary Education (which includes Middle Grades licensure), Early Childhood Education, and post-baccalaureate licensure in Early Childhood Education, Secondary Science, Secondary Mathematics, and Secondary English Education, and endorsements in Bilingual/ ESL, Reading, and Special Education through certificates or course requirements. The college is accredited by the National Council for the Accreditation of Teacher Education (NCATE). The university degree requirements for undergraduate programs are listed in the Bachelor's Degree Requirements section of this catalog. The College of Education prepares counselors, psychologists, teachers, and school administrators to function effectively in a variety of instructional, guidance and counseling, and leadership roles. 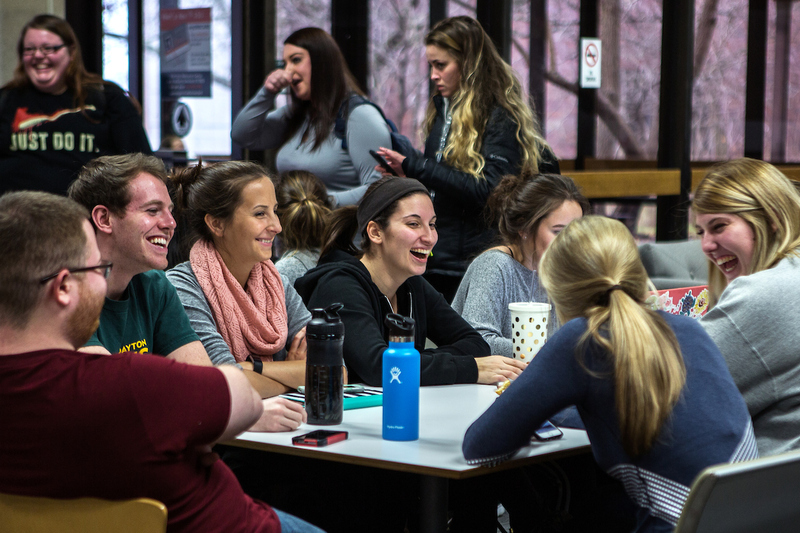 The college offers programs in Psychology, Counseling, and Educational Administration to meet the needs of students preparing to enter those fields or developing expertise for career advancement. Additionally the College of Education offers two doctoral programs: Counselor Education and Supervision and Interdisciplinary Leadership. The graduate programs in School Counseling, School Psychology, and Educational Administration (Principal Leadership at MA Level and Superintendent in the Ed.D. for Interdisciplinary Leadership) are fully approved by the Illinois State Board of Education to offer related Illinois licenses. Students completing the graduate programs described below are also well prepared to pursue doctoral programs at other institutions. Graduate instruction combines classroom lectures with extensive field experience. Field experience takes place in school districts and in mental health facilities throughout the Chicago area. The college offers graduate programs approved by the Illinois State Board of Education (ISBE) and subject to ISBE rules for teacher licensure in the areas of middle grades endorsement, administration, reading endorsement, special education endorsement, school counseling, and school psychology. The College is accredited by the National Council for the Accreditation of Teacher Education. The Counseling program is accredited by the Council for the Accreditation of Counseling and Related Educational Programs. The university degree requirements for graduate programs are listed in the Master's Degree Requirements section of this catalog. • Early Childhood Education, B.A. • Counselor Education and Supervision, Ed.D. • School Psychology Educational Specialist, Ed.S.